The European Environment Agency (EEA) has recently published a report that shows that, overall, Europe suspended in textile recycling. Thus, only the Netherlands and Sweden include it among the quantitative goals for national waste prevention programs. This report is the first review of the situation in Europe after the implementation by member states of their respective Prevention Programs, following the EU Directive on the matter (Waste Framework Directive EEC, 1975, revised 2008). Holland is undoubtedly one of the leaders in the field of textile reuse, since it has set a target that by the end of 2015, the textile residue is discarded and not reused is 50% lower than in 2011. Sweden also appears at the forefront in this field, since it has set a goal to reduce textile waste each household generates Swedish annually. Therefore, the Agency for the Protection of the Environment has ordered the Swedish government to establish a quantitative objective in this regard. Sweden also is working so that each year the number of second hand items purchased by its citizens grow, promoting reuse. At the same time, in 2018 intended to exponentially increase the knowledge that the Swedes have about chemicals associated with textiles that can be harmful to health. Thus aspire to the environmental and health factors are critical in the buying process, promoting responsible and sustainable fashion. As for the situation in Spain, the report dissects the Waste Prevention Programme 2014-2020, which is fixed aim to reduce 10% of waste generated by the Spaniards each year compared to 2010. But do not set a target specific about the textile. 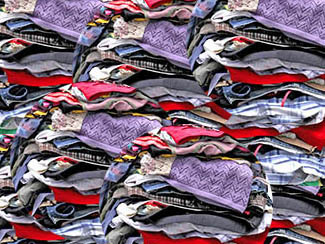 When referring to the clothing worn, notes that "reuse is an effective way to reduce waste generation. The lengthening of the life and repairing products, are also configured as key to reducing them". Among the actions the plan are still in the design phase, production and distribution, the establishment of shops dedicated to the repair and arrangements as well as the sale of second hand. 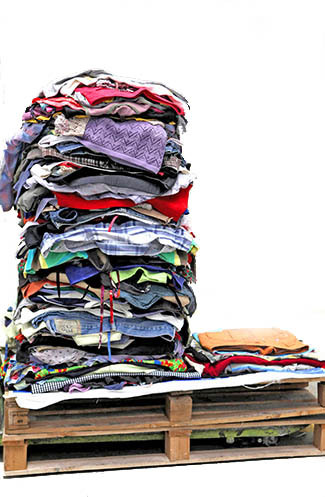 At the stage of consumption and use, awareness campaigns are needed to promote the delivery of clothing to reuse centers and to encourage consumption. 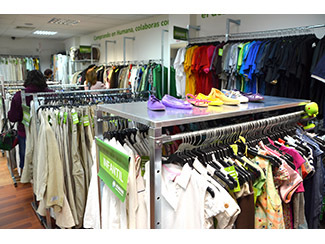 It also calls for collection networks and stores secondhand clothes for reuse. These measures are positive but insufficient. The Spanish government, with the help of the major players in the textile recycling and the support of citizens, should boost recycling and reuse, placing it at the level of the management of other waste such as glass or plastic. Spain should be a European leader in this field. It is everyone's responsibility.